Comprised of the town of Digby, the municipalities of Digby and Clare, Digby County is an absolute treasure chest of Nova Scotia Heritage. 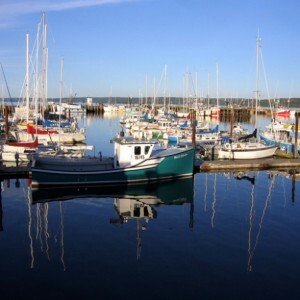 Nestled on the western shore of the Annapolis Basin, just off the famous Bay of Fundy, Digby is approximately 240 kilometres from Halifax and 80 kilometres from Yarmouth. The terminus for the Princess of Acadia ferry that crosses the Bay of Fundy from Saint John, New Brunswick, Digby is a main entry point to the Province of Nova Scotia, thus enhancing its position as a tourist destination. It was in 1783, that the British Admiral, Sir Robert Digby aboard the ship Atlantic, led the United Empire Loyalist to settle in the Digby area, which now bears his name. Established as a “fishing community,” fishing is still the most significant industrial sector in Digby’s economy with approximately 35 fishing communities and ports located along Digby Neck and the surrounding area. Historically these ports are responsible for the settlement pattern of the County. The true richness of the county’s heritage can only fully be appreciated by visiting the awesome and spectacular sites. One of these vintage “must sees” is the Trinity Anglican Church (1785). This is the only church in Canada to be built by shipwrights. In addition to this is the Old Loyalist Cemetery (1783), a United Empire Loyalist graveyard. Dedicated to local fishermen who lost their lives at sea is The Fishermen’s Memorial (1867-1967). The Soldiers Cenotaph is a monument to those who died in service to Canada during World War I, World War II and the Korean War and atop magnificent high cliffs, stands Point Prim Lighthouse (1817) overlooking the might Bay of Fundy, the site of the first lighthouses in Nova Scotia. The Admiral’s Walk/Loyalist Park is a seaside promenade perfect for romantic strolls, waterfront watching, and is host to variety of services, shops and tourist conveniences. 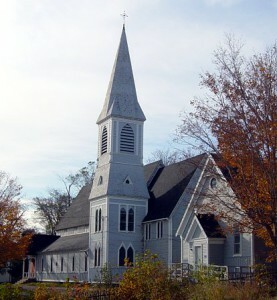 An international tourist attraction is that of St. Mary’s Catholic Church in Digby County. Built in 1905 with a steeple of 202 feet, this strikingly beautiful Church is without a doubt the largest wooden church in North America. Scores of tourists come annually to visit the museum within the Church (open during the summers) and to view and photograph this magnificent structure from all angles, always in awe of its intricate design and structure. 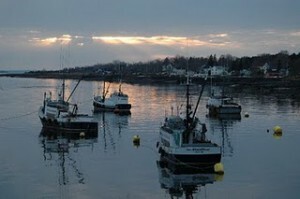 Having a special affinity with the sea, Digby County is also known as the “Scallop Capital” of the World and is home to one of the world’s largest inshore scallop fleets. A view of this magnificent fleet can be seen when you visit Memorial Park Look-Off. Each year during the second week in August, in observation of Digby’s historic dependence on the sea, Digby County celebrates it heritage with a festival fittingly known as “Scallop Days.” This festival includes a street parade, scallop shucking and the crowning of a “Miss Scallop Day Queen.” To round out the events the breathtaking scallop fleet parade, beneath the fireworks in the harbour, is enjoyed by all. Digby County provides a host of diverse activities and sites for vacationers, tourists and local residents alike. A drive along the Bay toward Yarmouth will take you through several small quaint communities dotted with an abundance of antique shops, seafood restaurants and local artisans. One unique landmark is the replicated 4.1 x 3.8 meter house of the famous Maud Lewis, a Digby County native who is world renowned for her unique folk art paintings. Maude’s is an amazing and heart warming story of a little woman with a big impact. Maude’s paintings are radiant with joy and whimsy as they represented the rural life in Nova Scotia. 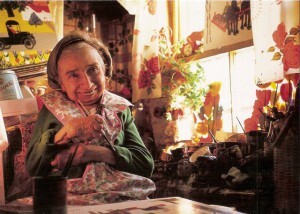 Today, her paintings are much sought after and desired by collectors and her “painted house” is preserved and on display at the Art Gallery of Nova Scotia, Halifax. A visit to Digby County would not be complete without stopping by New France. Founded in 1895 by the Steheiln family from France who moved to Nova Scotia in search of something more. This family literally transformed a rugged, wooded area into a thriving community and their accomplishments and achievements in “New France” soon helped earn the location the name of “The Electric City.” A small mill (dynamo) was used in the settlement to create electricity and provide the area with light. This was at a time when many large metropolitan areas still were without electricity. The neighbouring town of Weymouth did not receive power until 1926, twenty years later than New France. Located just 18 miles southeast of Weymouth this antiquated settlement is world famous for its historical facts and fascinating legends. Dubbed by Canadian Living magazine as the “best place for romantics in Canada,” Digby County is a truly a place to remember. From its breathtaking colourful landscapes and seascapes to its bountiful historical attractions and succulent seafood Digby County has earned its place on the map. No matter what you are seeking Digby County has something for you. From a champion 18 hole golf course at the Digby Pines Resort with a fabulous panoramic view of the sea, to whale watching in the Bay and catching a glimpse of a rare Atlantic Puffin, to sailing in the Annapolis Basin, bird watching on the Atlantic flyway, or resting and relaxing in one of the many attractively old fashioned inns as you admire the incredible skyline on the water, Digby County is yours to experience and explore.